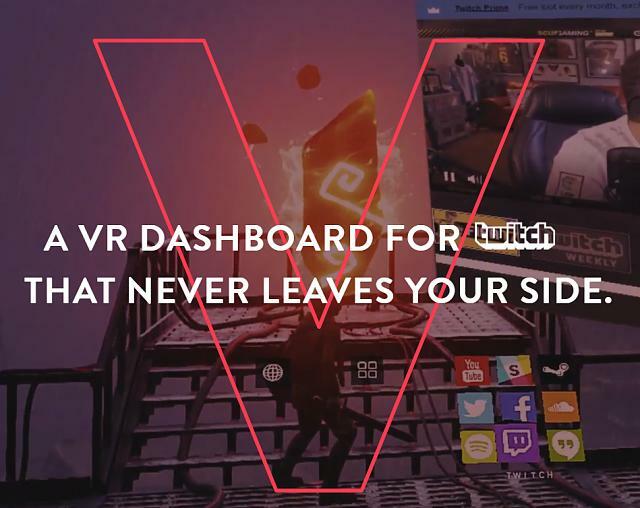 Add a dashboard into your VR space with "V"
Now this is cool, especially if it gives me my Twitch chat in all my games! V aims to be a place where you can get all your notifications in your games. On their webpage they also show that it responds to a double tap on your headset, which seems pretty clever. I'll have to give this a try when I get home! Apparently you can connect a bunch of services, including Twitch, Twitter, Slack and more. Has anyone tried it? Is this something you would consider using, or does it sort of ruin the whole point of being immersed in VR? Last edited by EgoAnt; 11-17-2016 at 07:56 PM. I use OpenVRDesktopDisplayPortal and use that to inject Restream.io's chat window. I hope someone makes this with OpenVR APIs. I know this is fairly old but I just used this software for the first time. It is definitely not intuitive but with a little help, it isn't too bad. My top piece of advice is have a xbox controller handy. While you use the touch controllers to navigate the UI, you have to use an xbox controller to adjust the size and location of the window it brings up. I had to look up Youtube videos to figure it out.